There aren't many people in the world who can make the 7'1", 325-pound Shaquille O'Neal look small. However, the stars aligned on Friday. 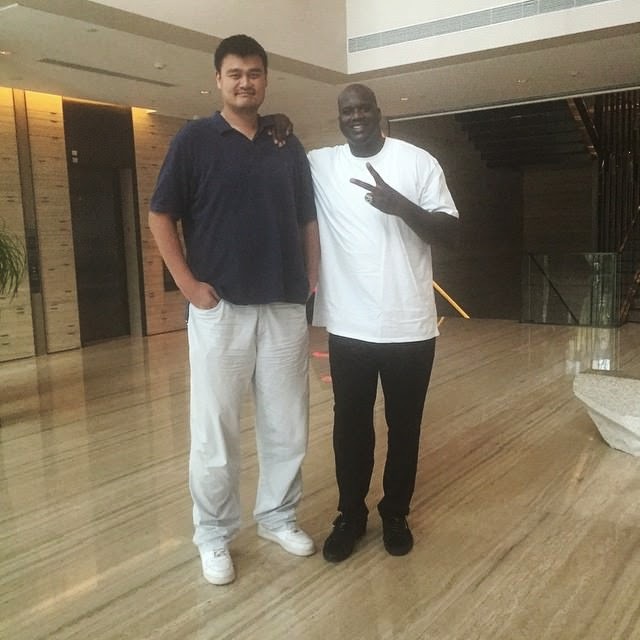 Above, we see Shaq with Yao Ming in Shanghai. "Yao says he's 7 feet 4 I think he's 7 foot 8," O'Neal wrote on Instagram. For the record, Yao was listed at 7'6" throughout his NBA career. 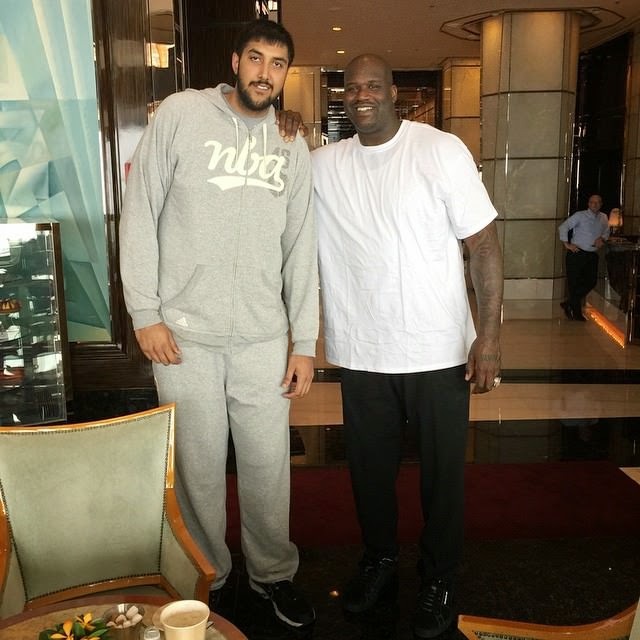 Below is Shaq chilling with 7'5" Sacramento Kings rookie Sim Bhullar. Bhullar is just 21 years old, and meeting the retired four-time NBA champion O'Neal clearly had an impact on him. His caption for the photo was simple: "Legendary."